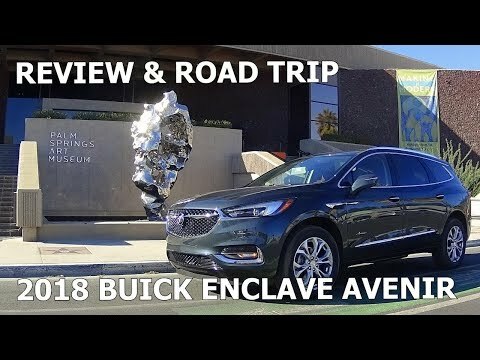 I spent a few weeks with the 2018 Buick Enclave Avenir (www.buick.com/suvs/enclave-mid-size-luxury-suv.html#AVENIR) and found it quite nice. Luxurious leather interior, every driver aid and infotainment feature you could want and seating for seven adults. 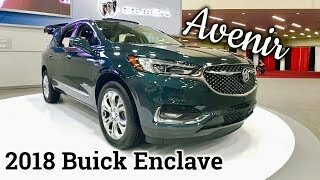 Buick has a new luxury trim level called Avenir (www.buick.com/avenir.html). 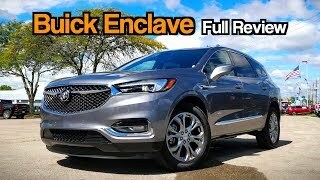 The first Avenir vehicle is the Enclave mid-size SUV, which will be followed by a Lacrosse Avenir (their luxury sedan). 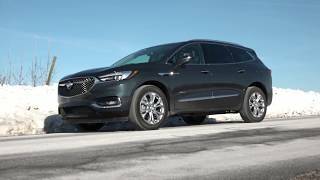 Here's a video review of the 2018 Buick Enclave Avenir. 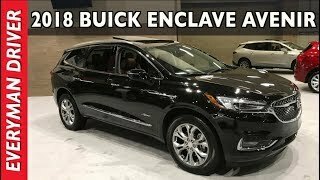 The gas mileage on the Enclave is certainly not great - if it had cylinder deactivation, that might have helped. 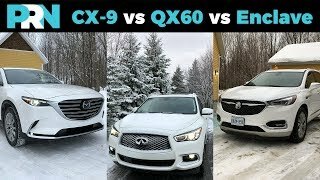 But, the engine runs on low test gasoline which is significant - many foreign engines, especially turbo-charged ones, are recommended to use high test. When comparing to other vehicles, $/mile might be a better relative comparison than MPG. I agree. Did you know you can use low test in any modern car, their sensors adjust for it. Performance will not be as as good, but it's fine for the car. They have to do it that was as many of the cars are sold in countries where premium gas is not always available. It hurts the performance but not the engine. I've heard that if you have the Tech Pkg, when you select "Sport" mode (manual mode), it disables the "Stop/Start" function. Also, this review didn't cover the "Camera Rear View Mirror" - a separate camera on the rear displays the rear surroundings on the interior rear view mirror - just have to operate the lever on the rear view mirror - best rear view mirror ever! Also there is a washer that cleans the 2 rear camera lenses. Also didn't cover the cylinder deactivation - 6cyl to 4cyl and the fact that the engines runs on low-test gas - saves $/mile (better measure than mpg). Also didn't cover the setting to allow the rear hatch to open 3/4's or full. On the AWD model, you can switch the rear-wheel drive off when its not needed - saves $/mile. I like the drone footage in the review - good job! Unfortunately selecting Sport Mode does not deactivate stop/start. You have to disconnect the hood latch sensor or install an aftermarket device to deactivate it. 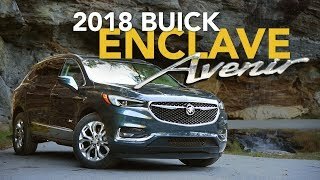 Also, cylinder deactivation has a history of causing more problems thsn it's worth and I'm glad the Enclave engine doesn't have it. Thank you. I think you are right, but just in manual mode. Thank you, I always love hearing that (about the purchase). 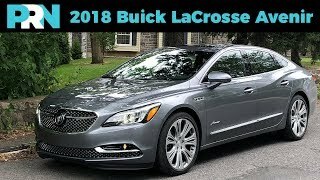 I was surprised when you mentioned cylinder deactivation, I've only heard of that on eight cylinder engines but good to know the LaCrosse has it. I hear you but in my case, I looked for the longest reviews first - wanted to get as much detail as possible before spending this much money. You did a great job for a 20-minute review. Also - I think the "stop/start" can be disengaged in manual or sport mode even if the Tech Pkg is not optioned. 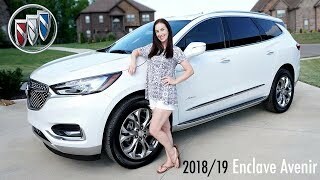 +Luxury Fred I was wrong about the cylinder deactivation - it's on the Lacrosse but not the Enclave. 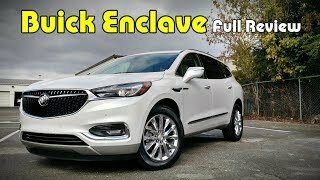 I'm in the process of buying an Enclave Avenue, thanks in part to your review, and was disappointed that it doesn't have cylinder deactivation. 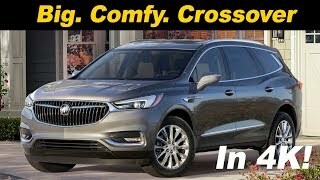 Our Buick Enclave is a 2016 Leather Package….my wife and I both use cushions to sit on…the leather seats are HARD !! Our 2008 Buick Lacerne had very soft cushion leather seats and it was a joy to ride in…. Thanks for watching and for your comment. Was yours an Avenir? That's interesting to hear, I did a few 100-mile / two-hour drives with no real issues. Good gas mileage - haha! 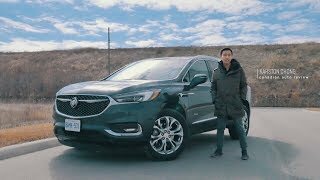 Reasonably good for an SUV? Its a nice vehicle but it is missing some key common luxury car features like Auto up/down windows on all 4 windows and rain sensing wipers. But they aren’t the dealbreaker. The dealbreaker is the stop/start feature with no off button. Sorry but, no Off button, no business. Until it proves that it doesn’t increase wear and tear on the car which only time can tell I refuse to get a car that doesn’t let me shut it off. 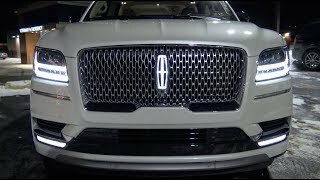 So I guess a Lincoln will do. I tend to agree. 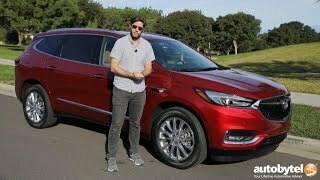 Although in the new Regal TourX and the LaCrosse I've driven it's less of an issue, because the cars and bigger and well-insulated I didn't feel them starting and stopping. 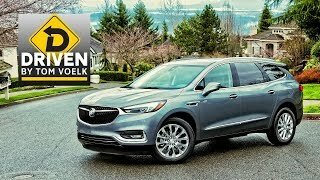 Meh, it’s still a Buick. Let’s move it along, folks. 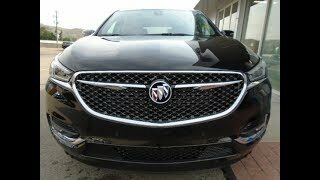 For the most possible Buick excitement, check out my review of the Regal GS. 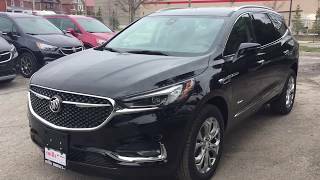 Luxury Fred the new facelifted Envision has an Off switch for it. My guess enough customers complained or were turned away when they found out they can’t shut it off. Great comments, thank you. I didn't know you turn the AWD on and off, I tested the FWD model. 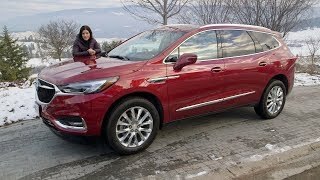 I just had the Buick LaCrosse and found the auto-stop/start also undetectable. We just got this car. We are coming from a Volvo XC60. Honestly the auto start/stop is virtually undetectable in this car! I was really surprised bc the Volvo practically gives you whiplash & was super annoying. Another thing I really like is being able to turn on/off AWD. We live in MD and we do have some bad weather but mostly you don’t really need the AWD. You get a bit better gas mileage with it off. I thought they all had it, but I haven't driven that one yet. Next I want to try the Grand Sport or the convertible one. Is it just me or is the leather a bit hit and miss with the stitching consistency? If you look at 15:00 when you're in the 2nd row, the rear right of the driver's seat looks really off with a 'wobbley' bulge. Compare to the passenger side and it looks fine. Anything you noticed in that regard? Wow, good eye. I see the bulge, I didn't feel it or notice it. It looks like it's part of the seat or seat mechanism, not a bulge in the leather or flaw. The leather and the seats seemed high quality to me, but I did not carefully inspect the interior. I didn't notice any quality issues in the two weeks I had it. It won’t shut the engine off in cold weather. I think. I will also ask about a low battery situation. I really hate that feature. 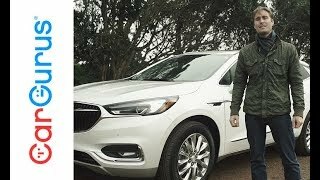 Funny enough, I just got a 2018 Buick Regal Sportback and it does the same thing, and no way to disable it. I would think the heater still works and the car is made to operate in cold weather, still starting and stopping. Or maybe it senses the temperature and disables the system. 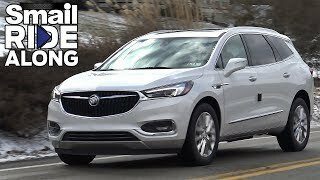 It's a good question and I will ask the Buick folks and post a response here. Thanks for watching. Nice car but it's still my grandpas car lol. Yes, I am looking forward to checking out the Regal Grand Sport. You must have a cool grandpa. I liked it, just as good as luxury SUVs from the other car makers. I'm excited to try their sports sedan and convertible, those are geared towards younger owners. Thank you for watching!